The Accessible Business Entrance program helps property owners comply with state and federal accessibility laws and helps people with disabilities gain greater access to goods and services offered by San Francisco businesses. Passed in 2016, Ordinance No. 51-16 requires existing buildings with a place of “public accommodation” to have all primary entrances accessible for people with disabilities. Under state and federal law, a place of “public accommodation” is generally a business where the public will enter a building to obtain goods and services, such as banks, day care centers, health clubs, hotels, offices, restaurants, retail stores, theaters, etc. Is my Building Exempt from the Ordinance? 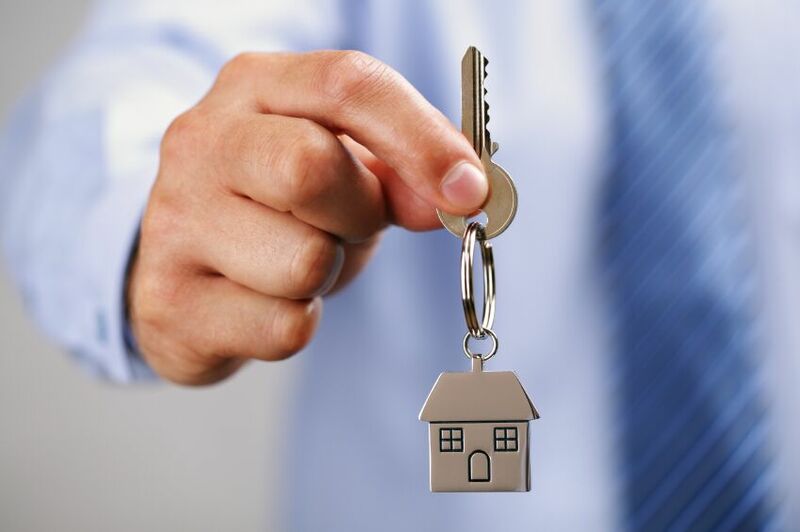 What are the Responsibilities of the Owner and Tenant? Any existing building with a place of public accommodation is subject to the ordinance, unless exempted. The ordinance applies to both privately and publically funded buildings that fall within the jurisdiction of California Building Code, Title 24, Part 2. All of the businesses contained in the structure are not “public accommodations” thus the structure is not “a place of public accommodation”. If you are uncertain whether you are a “Public Accommodation” or if you are exempt, please complete the Pre-Screening Form prior to hiring a design professional or Certified Access Specialist (CASp). What are the Responsibilities of the Owners and Tenant? Compliance with this ordinance is ultimately the responsibility of the property owner. The ordinance is an addition to the San Francisco Building Code and the code only recognizes the owner of the structure. The ordinance, however, does state that it is not intended to interfere with any existing lease agreements between tenant and owner. If the owner has an existing agreement that the tenant shall pay for any accessible upgrades required, the ordinance does not nullify such agreements. It should be clarified, however, that the Department ultimately holds the property owner responsible for compliance. If the tenant is determined to be responsible, the Department will ask the owner to consider that it may be to his or her advantage to assist in the cost of any remedial work because this ordinance may not have been foreseen by the tenant or owner when the lease agreement was signed. NOTE: If the owner or tenant claimed and received an Unreasonable Hardship due to excessive cost, the determination of the Access Appeals Commission may include restrictions on the property that may affect what type of businesses are allowed to lease this property in the future without repairing the barriers to access. Determine which one of the three forms you will need to submit to DBI: Pre-Screening Form, Waiver or Category Checklist Compliance Form. If you submit a Pre-Screening or Waiver form, you will have complied with the Program's requirements and no additional action is required. Prior to submittal, visit http://propertymap.sfplanning.org to verify your address exists in the City Records. If the address does not appear in City Records, a new address needs to be created. View Information Sheet G-03 Assigning Street Address for more information. If your property is not exempt or waived, have a licensed architect, licensed engineer, or Certified Access Specialist (CASp) review and complete the Category Checklist Compliance Form. Submit your completed form to DBI by the compliance date according to your property's compliance category. File application for any required permits by the compliance date according to your property's compliance category. Obtain required building permit(s) by the compliance date according to your property's compliance category. Complete permitted work and schedule inspections to receive a Certificate of Final Completion per permit requirements.